I'm happy to say that I think I finally found the ONE. Well, the FOUR, actually. Meet my daytime warriors! 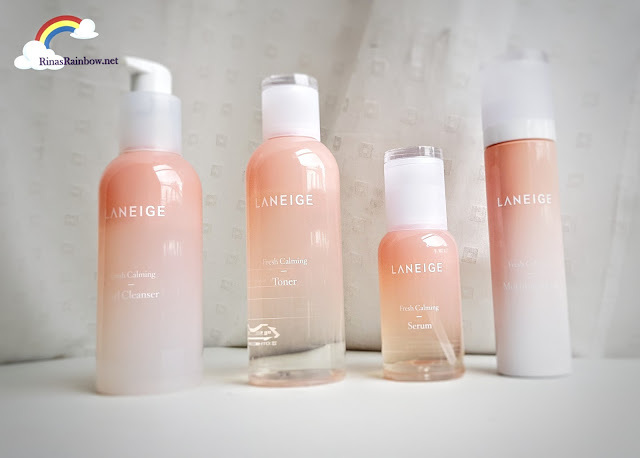 The LANEIGE Fresh Calming Set! And it's already available in LANEIGE stores in the Philippines! Aside from the fact that I wanted to buy this set because of the Lee Sung Kyung Fan Girl in me (She's the endorser for this line), I was particularly interested to try this because this line was made for oily to combination skin. Which is exactly my skin type. I've always thought I had oily skin until I realized that only my T-zone was oily. My cheeks are always dry. Forget the fact that the original market for this line is for 20-year-olds. Feeling bata ako bakit ba? And hell, it works perfectly for me! Seriously! 찐자!!! Dove and Mommy Mundo's #ConfidentGirl Forum is an Eye-Opener! Parenting is hard. Obviously. You think parenting will become easier as they grow up because we don't have to assist them in small tasks like breastfeeding, or giving them milk in the wee hours, taking a shower, brushing their teeth, feeding them, etc. But the challenges become different. As I can imagine, it becomes emotionally harder. Because then we have to make sure our child grows up in a positive environment and we want to make sure that they'll be okay on their own when we're not with them. A big factor in growing up with confidence is having good self-esteem. Now inside your household, there's no problem. Because we're always there to guide them. But it's a different story when they leave the house as they become exposed to other people's way of thinking. That's why as early as now, it's best to have that "talk" with them and prepare them for the world. 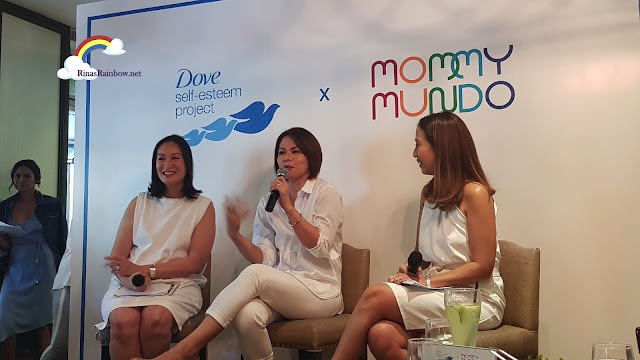 This is precisely why I'm glad I was able to join the first #ConfidentGirl Forum with Dove and Mommy Mundo.